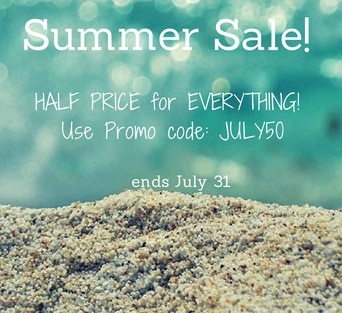 Summer Sale is here! HALF PRICE for everything! We know you’ve been waiting for it, and here it is! Summer sale has arrived, bringing you the amazing half price deal for all Visual Link Spanish courses and bundles! Simply type in promo code JULY50 at the checkout page at www.spanishprograms.com and receive your sale price! Learn Spanish with our very special Summer Sale, and remember that you can start learning Spanish FREE on Visual Link Spanish website! The promo ends on July 31, so there’s no time to waste! Make the most of this summer!